From Elle Collections SS2011. 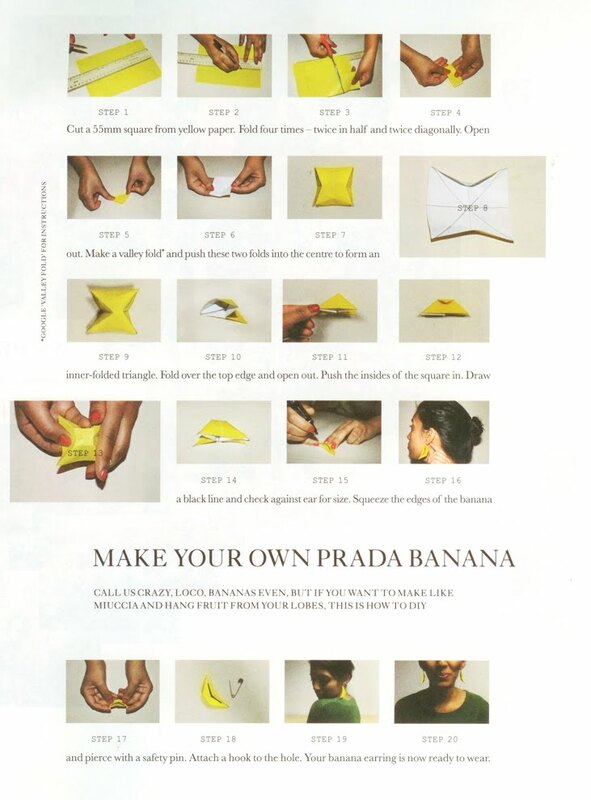 How to make your own Prada-inspired banana earrings. Gracias osopolar. I do like your work. Keep and eye out for a dedicated post very soon! I have written an article on fruity fashion for my university website and would like to use your image of Elle Collections' how-to - would this be OK? Hi Hannah, It's not my image so fine if you want to take it off my blog, but you should probably credit Elle Collections. You can still buy the issue if you want to scan it. Sweet of you to ask though. Check out De Grisogono - they have a whole fruit-themed collection. Good luck with the article.